Spring is just around the corner. How far around the corner depends on countless celestial and meteorological factors, plus, of course, whatever a certain furry resident of Punxsutawney, PA had to say about it this year. (Fun fact: Phil has predicted correctly only about 39% of the time since 1887. So you may not want to take him to the track and let him pick the ponies for you. Just sayin.) Large rodent shadows notwithstanding, spring is, in fact, coming. I know youre ready. But is your landscape? Dont jump the gun: Getting a good head start on the gardening season is awesome. But assuming that the first halfway-decent weekend in February means that winter is history has come back to bite many a gardener in the over-eager patookus. As a general rule, you shouldnt plan on doing any springtime planting until your dirt is loose and crumbly in your hands. If it packs into a solid ball, its still too wet. Enjoy the unseasonable temps, but dont let that case of spring fever fool you into wasted work. 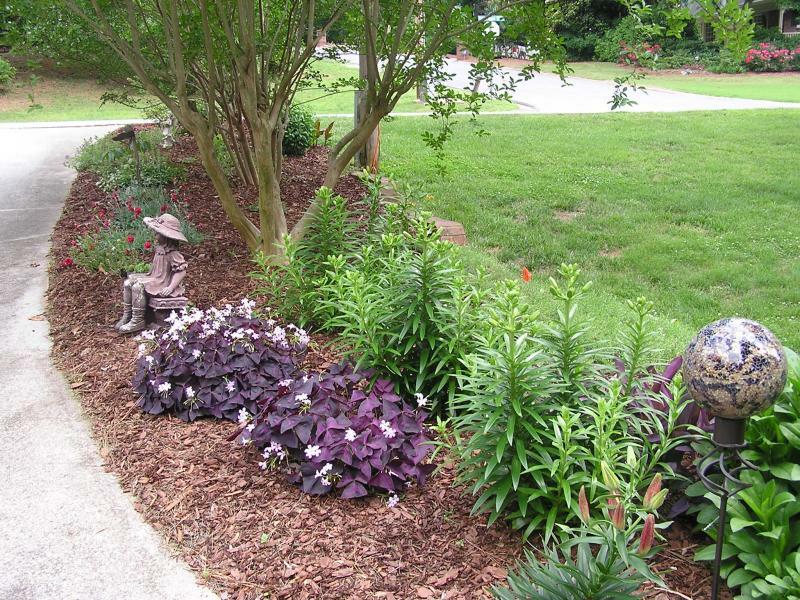 Mulch in, mulch out: Give your planting beds a makeover by removing all of last years mulch. Youll be helping the soil temps, allowing a maximum of moisture to get to those thirsty roots, and eliminating a lot of the little creepy-crawly critters, bacteria, and diseases that could be waiting out the long cold winter to attack your garden. Once the weather starts to warm up permanently, re-mulch the beds with a fresh supply. instead of just whatever you had lying around in the potting shed. Go organic: No matter what your soil test shows, any garden bed will benefit from a nice early-season layer of organic matter. As long as youre clearing out the old mulch, its a great time to spread some nutrient-rich compost or soil conditioner around your plants. Sprinkle it around and work it in lightly with a shovel or hoe. Then sit back and watch your plants take off all year long. Time for a tune-up: A years worth of yardwork will go a lot more smoothly with smooth-running equipment. Nows the time to take your mower in for a tune-up. Or, if youre looking to channel your inner Mr. Goodwrench, tackle it yourself. Its not hard: sharpen the blade with a drill-powered sharpening kit, replace the spark plug, change out the air filter, and for Gods sake, drain the engine of last seasons oil and gasoline. While youre poking around under the hood, hose off the underside of the mower deck, and do a quick hand-check of the belts and hoses to make sure nothing feels brittle. Do it now so you dont lose 3 weeks in the middle of summer waiting for the backed-up shop to get around to your mower. Bare spots, begone! : Give your favorite autumn rake one last workout by cleaning up all the leaves and debris strewn about your lawn. A good spring cleaning of your sod will allow more light and air to get to the green stuff underneath to get it growing. Then take a stroll through your lawn and look for bare patches. Take advantage of the low-traffic, no-mowing season to fix them well before this years July 4th kickball tournament. Scratch up the ground with your rake, mix up some grass seed and quality topsoil, and make like Johnny Appleseed. Weed early, weed (less) often: Pulling weeds is a constant chore. But you just might find yourself doing it a little less often in summer and fall if you start in spring. Weeds are trying to grow early in the year, just like the rest of the landscape. By yanking them now, youre ridding your garden of many of the troublemakers that will just self-sow and then continue to haunt you all year long. Plus, theyre easier to pull when their roots are shallow. Take a little off the top: Pruning is perhaps the quintessential springtime maintenance to-do task. 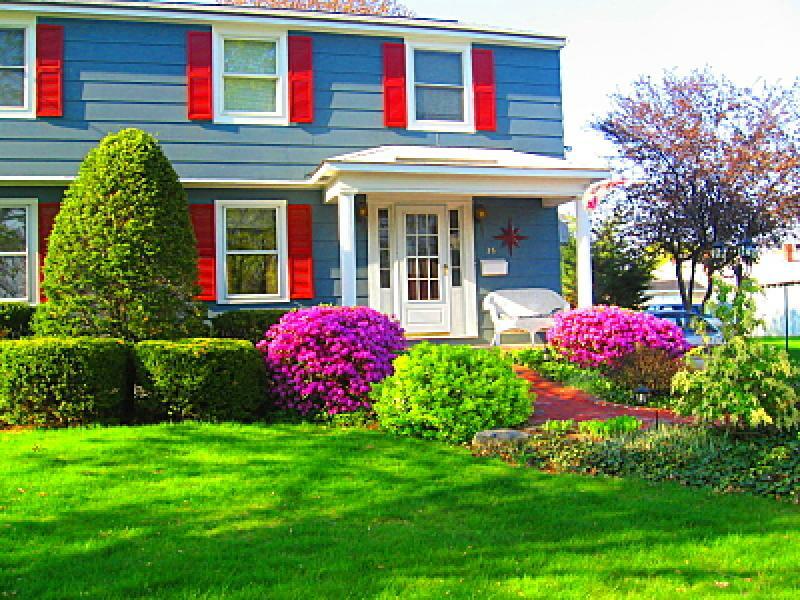 But knowing what to prune, how/where/when to prune, and maybe most important, what not to prune, can be the difference between a yard that gets your neighbors talking and a yard that gets your neighbors recommending their landscaper to you over the fence. Proper pruning will encourage vigorous new growth and an explosion of new blooms. A bad prune job ruins your chances of flowering for a full season, and could even kill the plant. Trouble is, every plant is different, Edward Scissorhands. Take the time to ask someone who knows: a friendly employee at your favorite nursery, a local master gardener or extension agent, or a professional landscaper. or share your landscapes beauty with someone else. Spring is about to spring. Now spring into action yourself and take advantage of the gardeners best time of year.